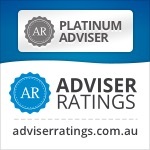 My wife have been retired,owned a SMSF and have lodged tax and annual returns for years. Do we now have to file TBAR’s also? From 1 July 2018, all SMSFs must report events that affect their members’ transfer balances. Timeframes for reporting are determined by the total superannuation balances of an SMSF’s members. Where all members of an SMSF have a total superannuation balance of less than $1 million, the SMSF can report this information at the same time as when its annual financials and tax return are due. Transfer balance account events that occur during 2017–18 should be reported when an SMSF’s first TBAR is due. 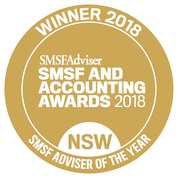 If an SMSF is reporting annually, i.e all members have balances less than $1m, this will be the same time as the trustee is due to lodge the 2017–18 annual financials and tax retrurn. If an SMSF is reporting quarterly i.e it has at least one member with a balance over $1m, this will be 28 October 2018. Your Accountant/Administrator should already be working on this for you so reach out to them and give them a little nudge along! Thanks for your useful informative Guidelines to Transfer Balance.